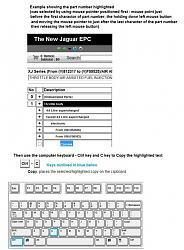 Full Jaguar EPC Download, with complete install instructions. Update - 4/24/14 See Post# 75 - has updated JEPC file that supercedes this Post - Now the JEPC download is only 1 file to download and install has been made easier. Update: see post# 54 - new files and instructions. Deleted this post. 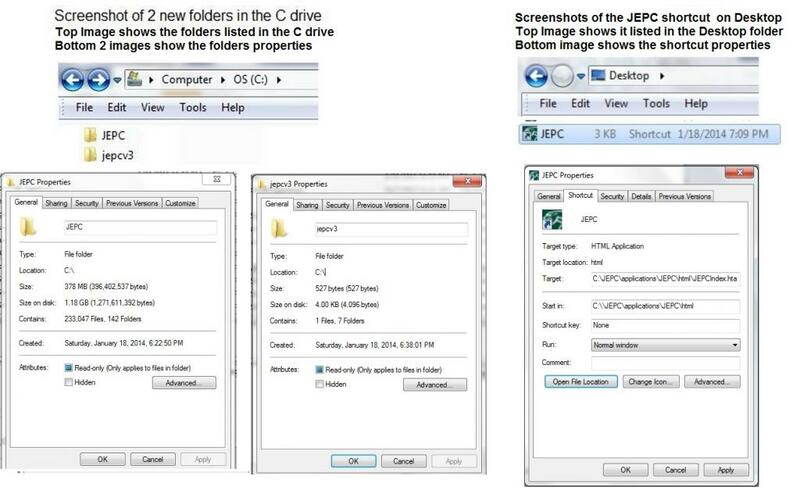 I will create new post that covers downloading 2 new archive files for JEPC (JEPC.exe that will create C:\JEPC folder and jepcv3.exe will create C\jepcv3 folder). Last edited by jimlombardi; 04-24-2014 at 01:32 PM. The reason you and the rest of us are not getting full access to the features of the JEPC (that require the internet connection) is that you need to be automobile repair facility who has a paid subscription to the JEPC for online access support. One of the Jaguar Forum members provided the JEPC software in this forum thread, but login/password provided to access the software, but are not valid for the online JEPC services. We are using this software to find part numbers & illustrations showing those parts that we are interested in finding. Then we use the part number and part description to locate them online or somewhere else and this allows to shop for the best price for parts. Thank you and understood, however, when I select a part, any part, there are no illustrations displaying, I can drill down to specific parts but no matter which part I select, no illustrations. Apologies for being a pain. Last edited by jimlombardi; 04-24-2014 at 01:31 PM. I repeat what I think that the issue is a bad download of the jepc software. Use the install instructions in post# 35 - also use the download links in post# 35. It has all the images for the drill-down parts listed. Thanks I thought I did reinstall from post #35 but will do again. there are only 29 images in my image folder so at least I know the problem. I will retry. You are not alone, I have the same issue. Windows 7, 64 bit. Last edited by jimlombardi; 04-24-2014 at 01:28 PM. Same issue. Windows 7 64 bit. All of the 5660 files are in the image folder. Had no problems with installation and short cut creation. Sorry I am having these issues too. I know Jim and others have worked hard to make this work. Last edited by jimlombardi; 04-18-2014 at 01:52 AM. when i type in ADMIN and password: 123"
Here is what I did that solved the problem for me. I will admit that as computer savvy as I am I do not quite understand this. I extracted the folder to the desktop as previously described. 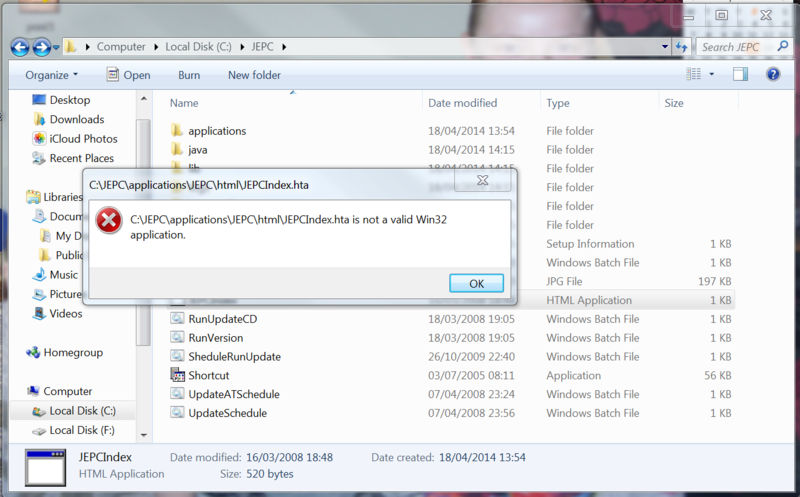 I opened that extracted folder, now called Jaguar Epc v3 10.2009, and COPIED (notice I did not say CUT or MOVED - I tried that and it did not work) two folders inside called JEPC and jepcv3. I then pasted those two folders to my "C:" drive. 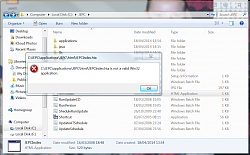 At that point the short cut in the extracted desktop folder named Jaguar Epc v3 10.2009 automatically changed it's icon AND assigned itself the correct path. I did not have to alter the shortcut in any form. I copied that shortcut and pasted it to the desk top. All things now seem to work. FYI, I did this on a XP Service Pack 3 and a Windows 7 computer. I do not know why on my machines I had to copy the files instead of just moving them. I also don't know if the original extracted file, or any of the files within, can be deleted. I am leaving them alone for now. I know that different computers can be set up different ways and thus things install, extract, etc. differently. The above worked for me but . . . .
Good luck and thanks to all. It sounds like you have the JEPC parts catalog working proper now from what I understand from your post (post# 50). Robert, you are brilliant. I followed Jims last post, and my settings were correct, but once I used your fix, it all works now! Excellent! Thanks for the nice comment. I do think this was all a collective effort and thanks to everyone involved. "copy the 2 folders listed here to the c drive.. then copy the shortcut to your desktop..
it doesn't get ANY easier then this. I also remember reading in Post # 1 about the copying to C: drive. I am suspecting that there is some code in the process that makes the program work better (or for some, only work) if the program folders are in the C: drive. I do find it interesting that by doing it the way that I described (and in the readme doc) the shortcut creates itself, assigns the icon, and assigns the proper pathway to the program file. For those that this works for great. And to all who have contributed: Thanks! When you run the jepc shortcut icon on the desktop, the sign-in screen comes up asking for username (admin) and password (123). Last edited by jimlombardi; 04-24-2014 at 01:27 PM. 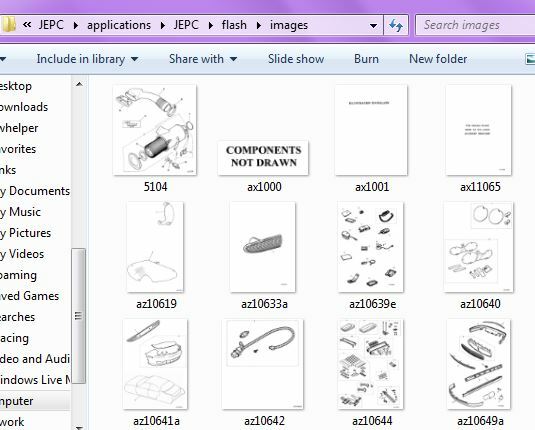 Do you know that you can copy the part numbers you find in the EPC Electronic Parts Catalog by highlighting the part number?? Well you put your mouse point just before the 1st character of the part number and hold down the left mouse button and move the mouse point to the last character of the part number. Now it be highlighted then release the mouse button, then hold down the Ctrl (control key on the keyboard) and the C key at the same time to copy the highlighted part number. Now the part number is in the windows operating system clipboard. If you want to paste the part number into a forum post and insert it into an internet browser search, you just press down the mouse right click button and click on the paste menu item. Move the text select/mouse pointer with your mouse to where you’d like to start your selection. Click and hold down the left mouse button. 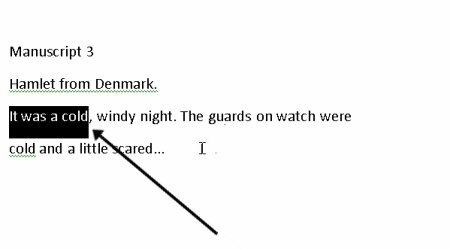 While doing this, move the mouse across your text to where you’d like the selection to stop. As you move the mouse, the text will be selected. When you’ve finished your selection, release the left mouse button. Right-click the selected text and select copy. Last edited by jimlombardi; 04-07-2014 at 09:14 PM. I've installed twice now...last time explicitly following the instructions in post #54. I still have no images when I go in the software. My images folder only has 160 images. 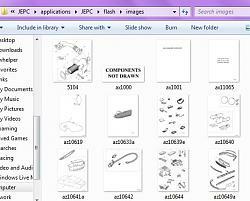 The illustrations images (diagrams images) are in the C:\JEPC\applications\JEPC\flash\images folder. Review the screenshot images below and compare their content with your content in your folders and icon. Google Chrome (Customize and Control is located at the top right hand corner - 3 vertical bars - left click on it - then use Zoom feature to enlarge view). Internet Explore (Use your keyboard - hold down Alt key and hit the X key to open the tools menu list, then put your mouse pointer on the Zoom menu item and select a larger zoom percentage - like 150%). Last edited by jimlombardi; 04-18-2014 at 07:48 AM. Location: The Beautiful Mid-South, U.S.A. Thanks again for all your hard work to give us all access to this invaluable resource! Last edited by Don B; 04-17-2014 at 09:51 AM. 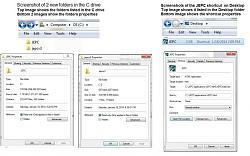 I corrected the instructions on how to create the jepc icon shortcut in post# 54 - shortcut start in location changed to C:\JEPC\applications\JEPC\html. ok I have tried to get this work 2 times, im no where near a computer expert and I made need an idiots guide. basically I downloaded following instructions and I when I tried to open the programme I got the attached picture come up. I hope its something really simple and you guys can help me. this programme come in very handy for me. 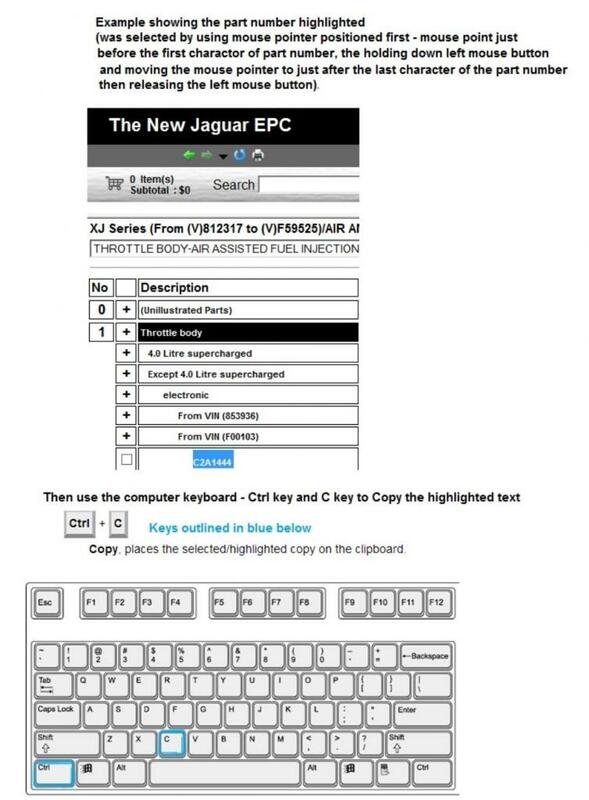 Quick Reply: Full Jaguar EPC Download, with complete install instructions.